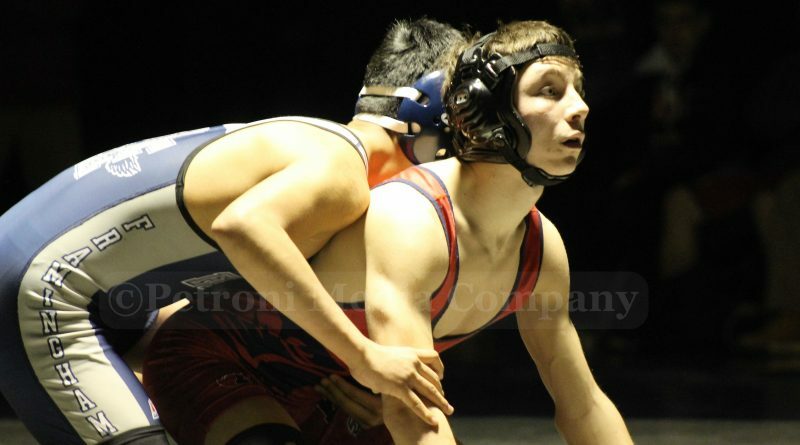 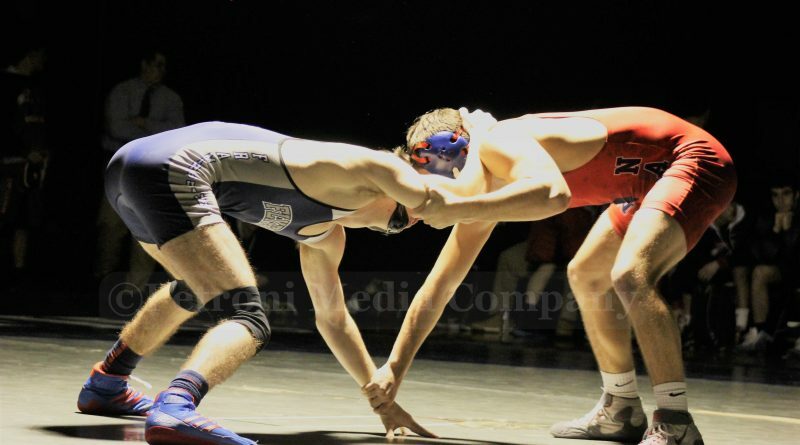 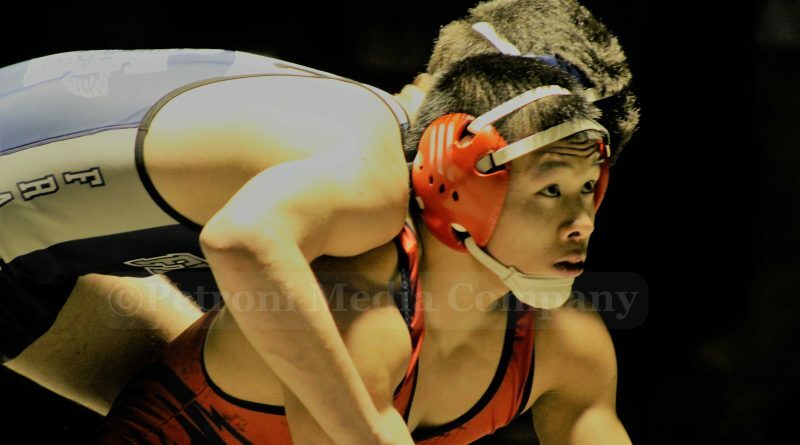 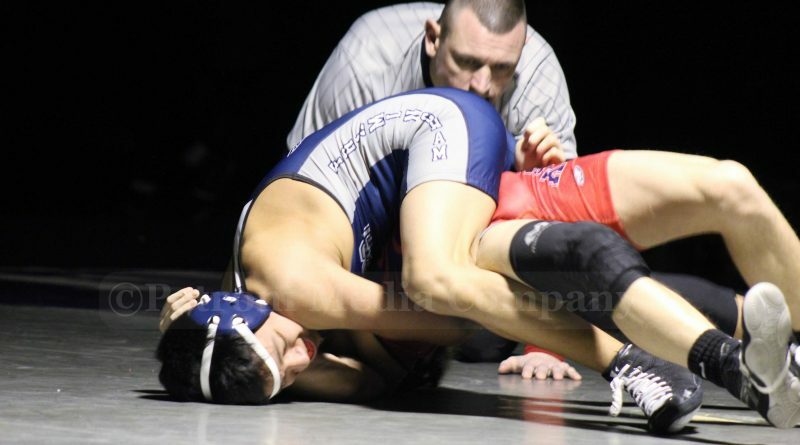 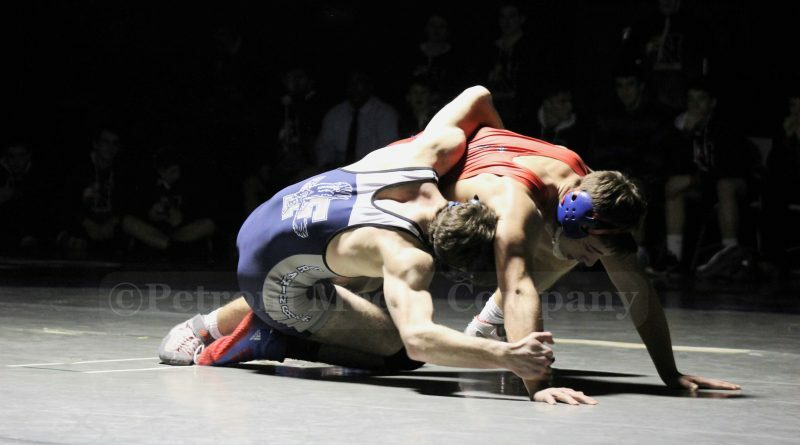 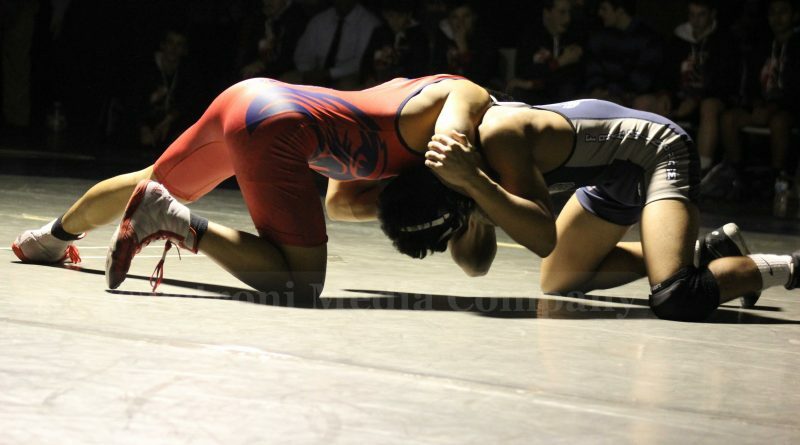 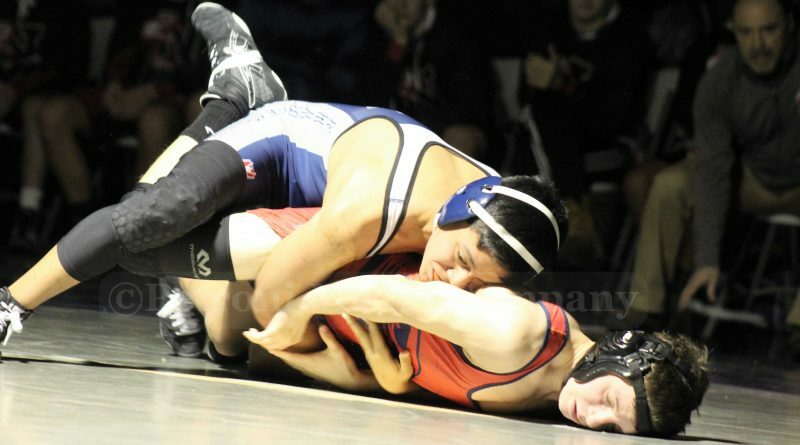 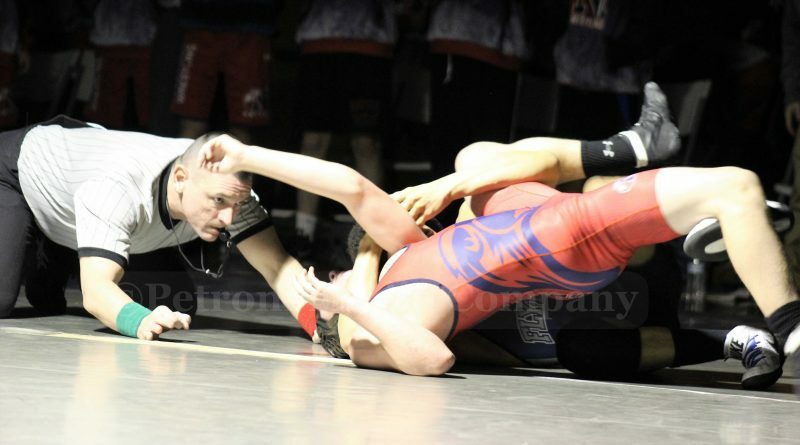 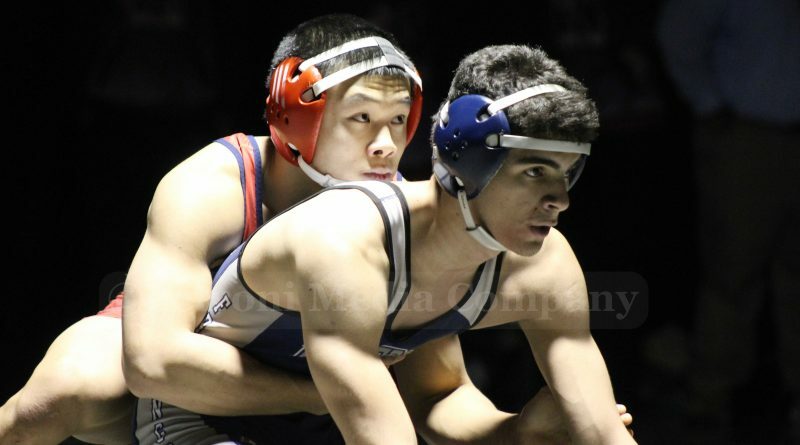 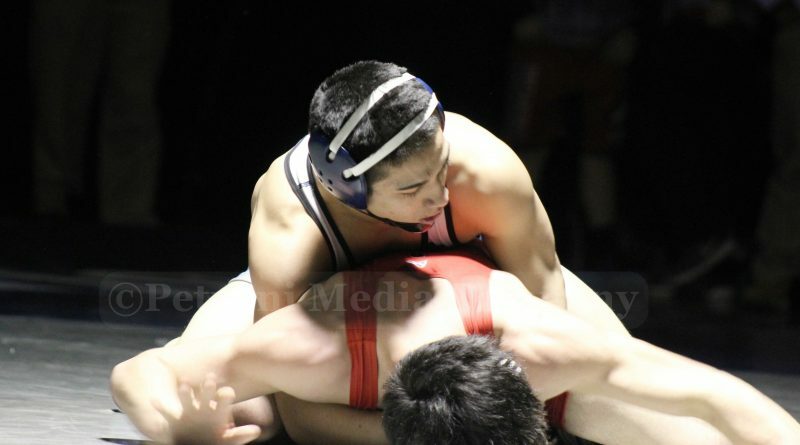 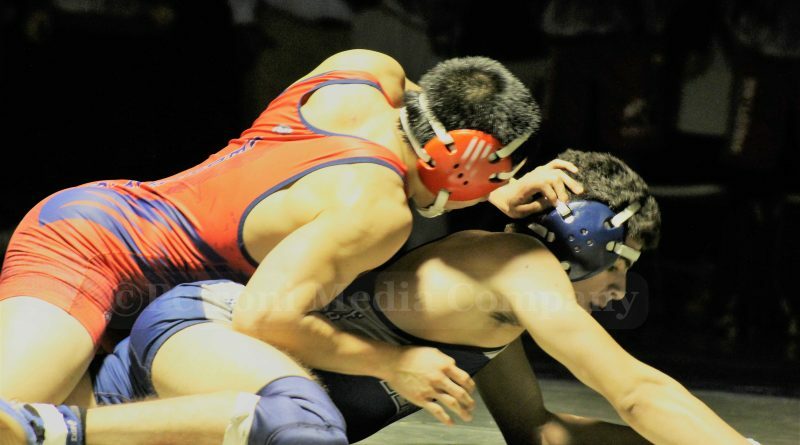 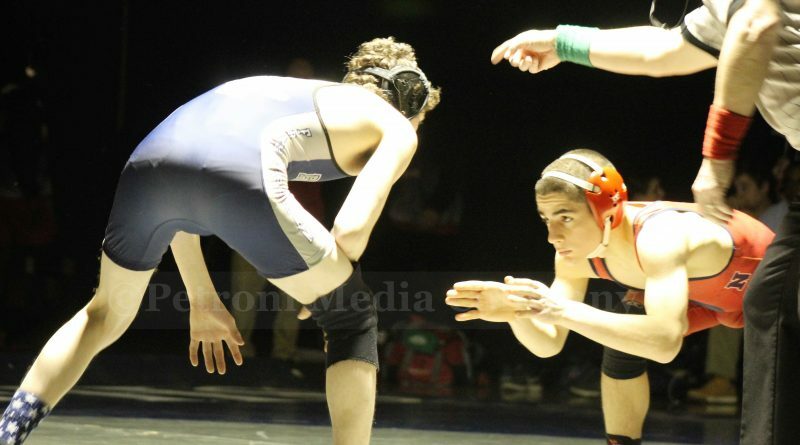 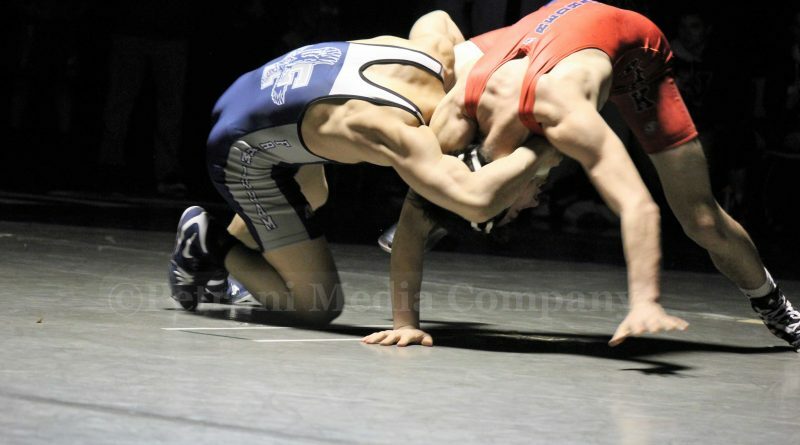 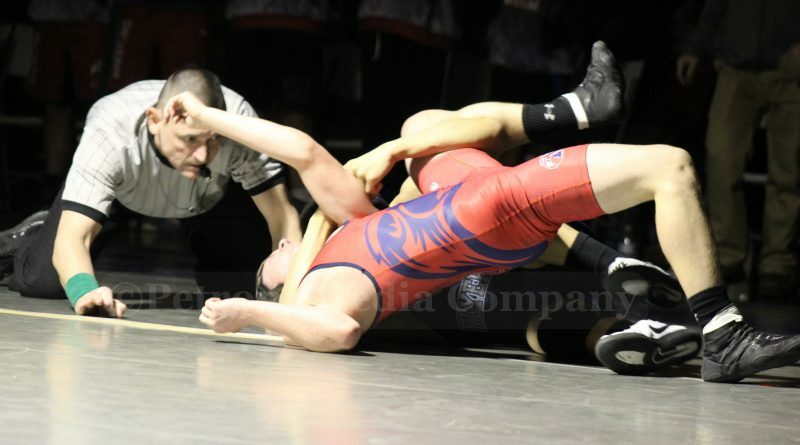 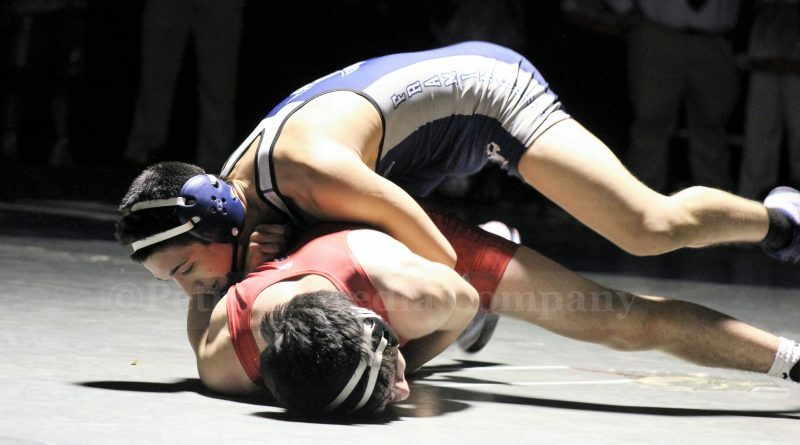 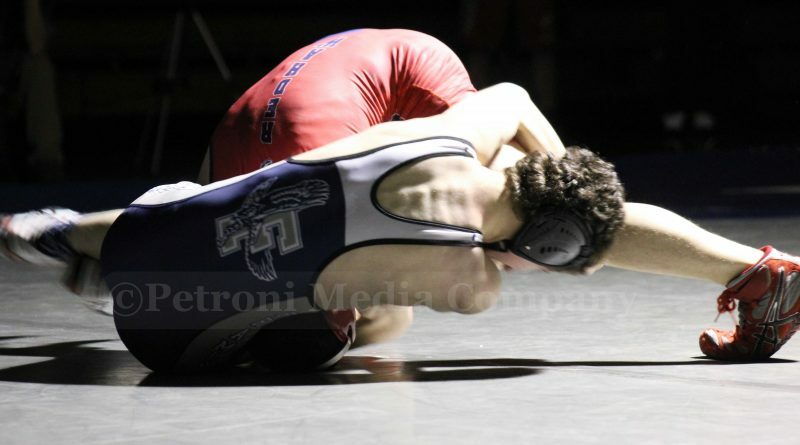 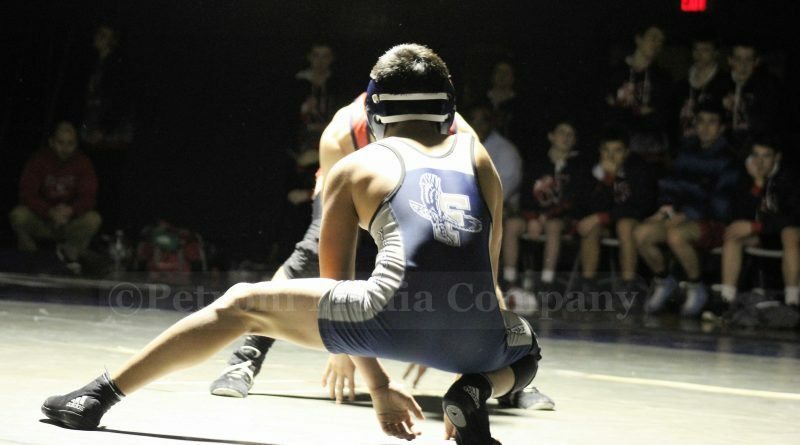 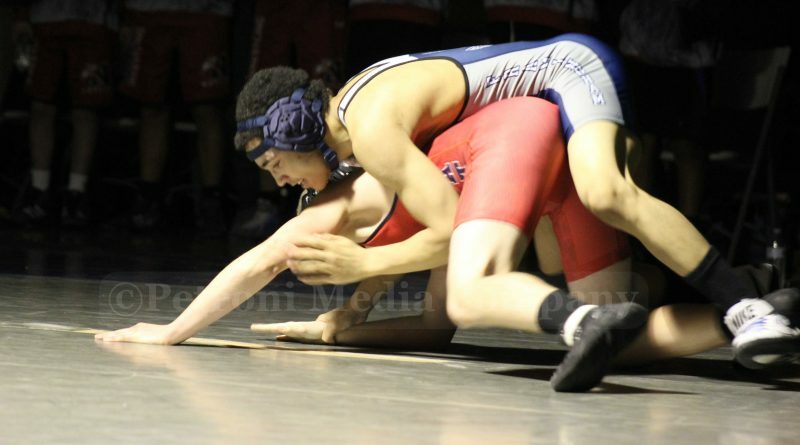 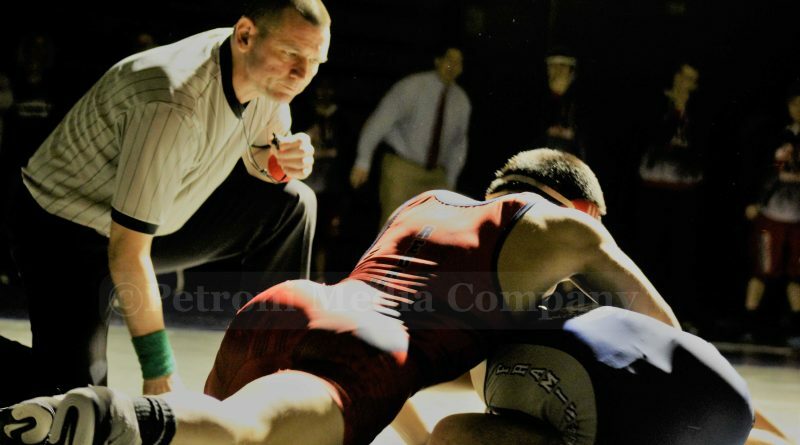 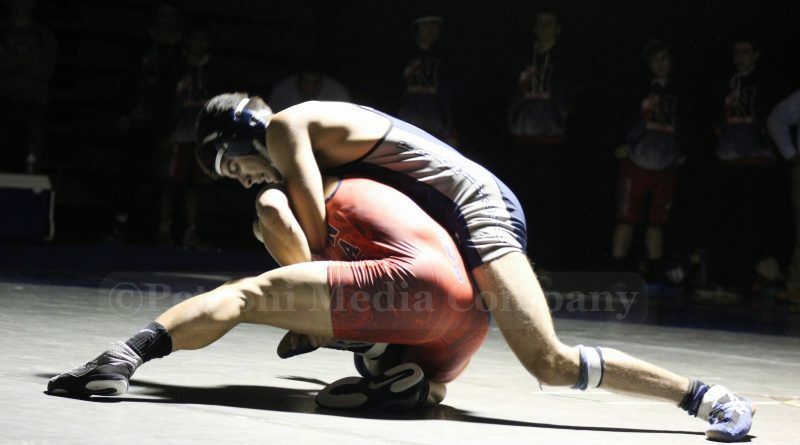 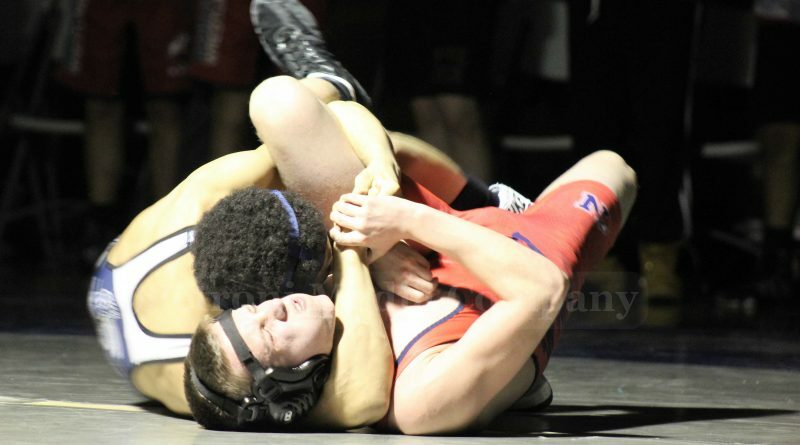 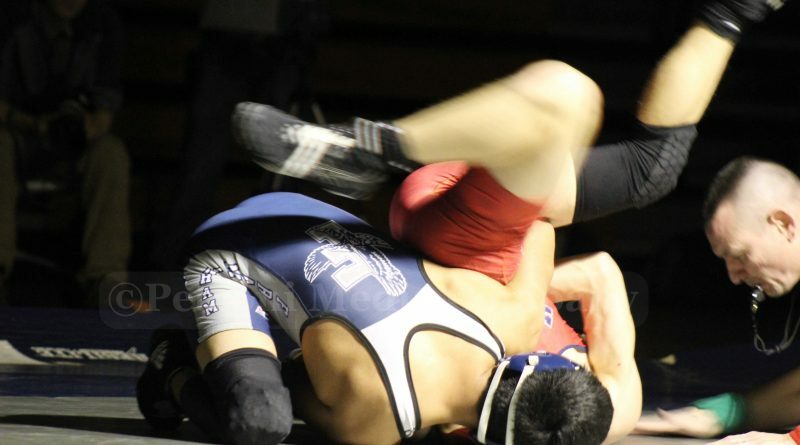 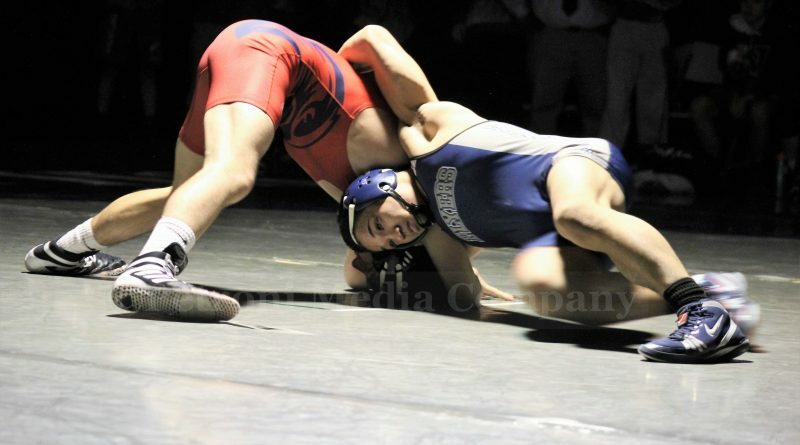 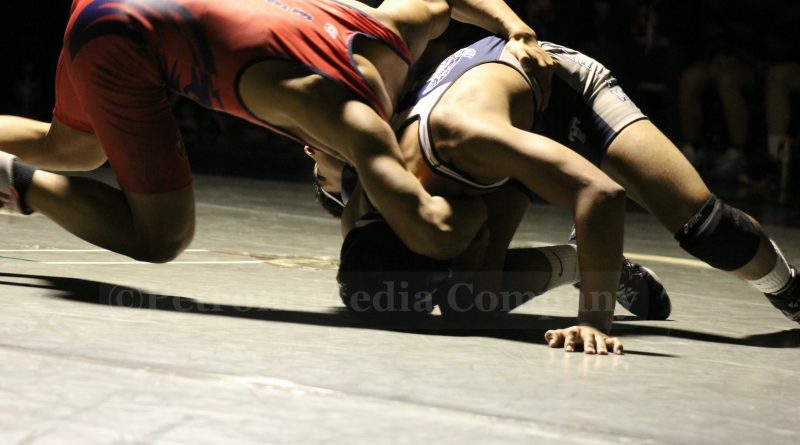 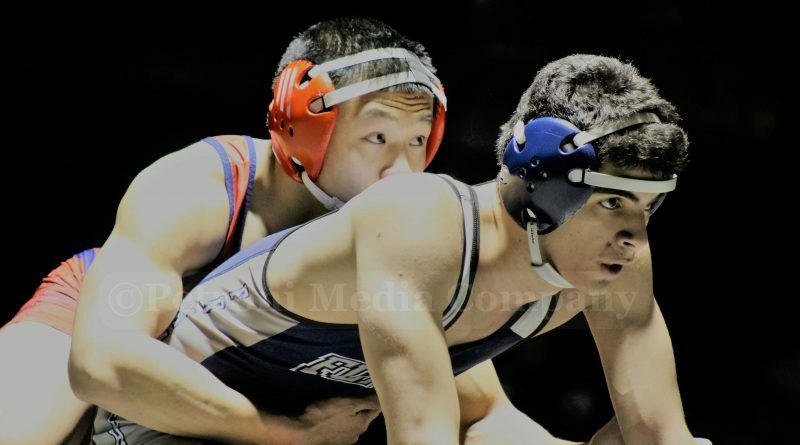 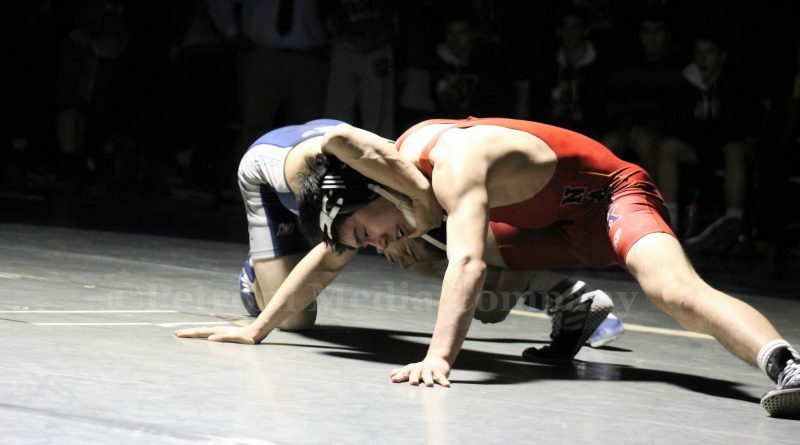 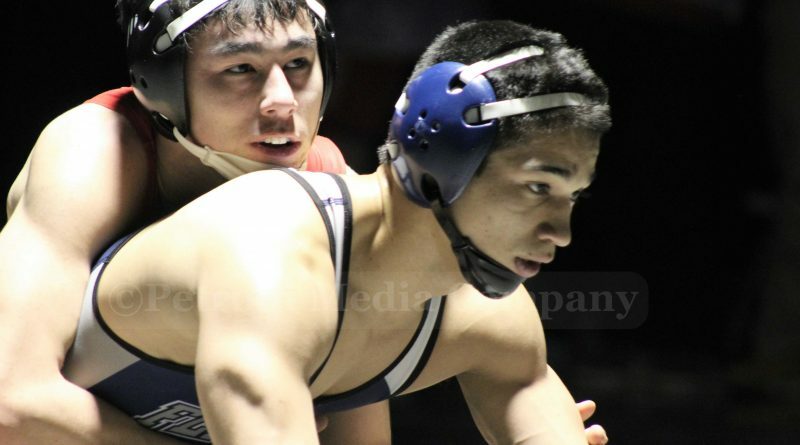 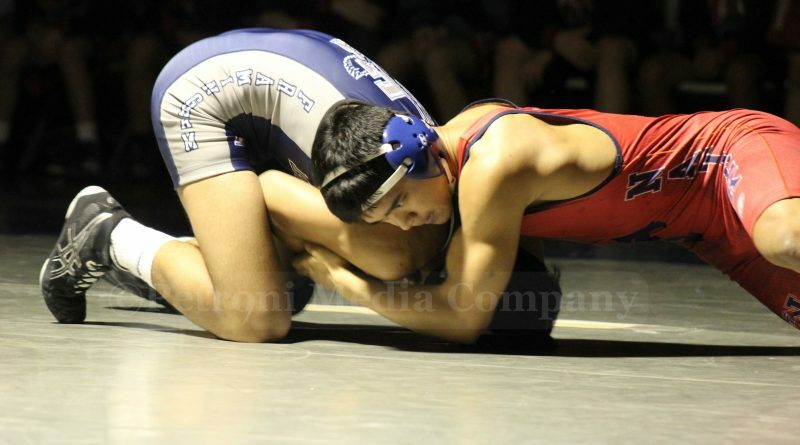 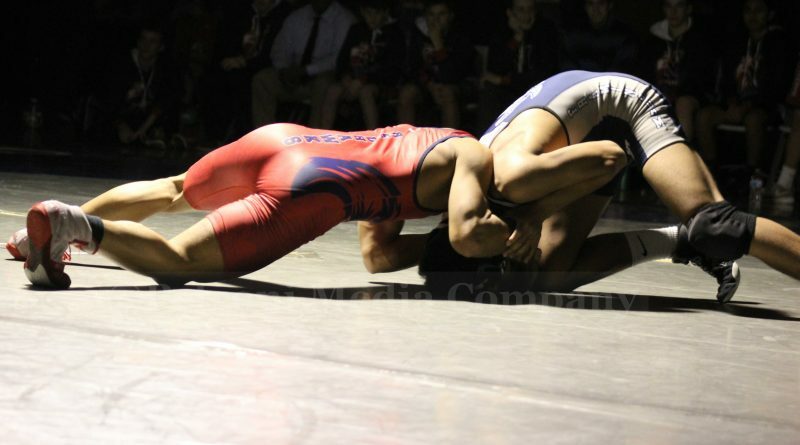 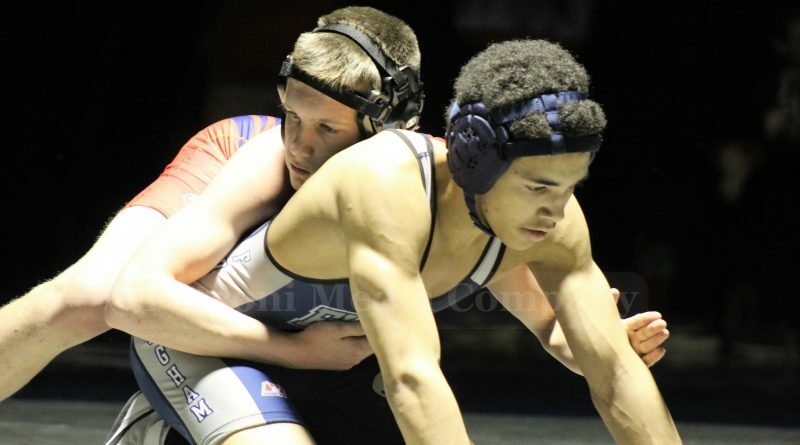 FRAMINGHAM – The Framingham High wrestling team took an early lead against rival Natick High Wednesday night, but eventually lost to the Bay State Conference champions. 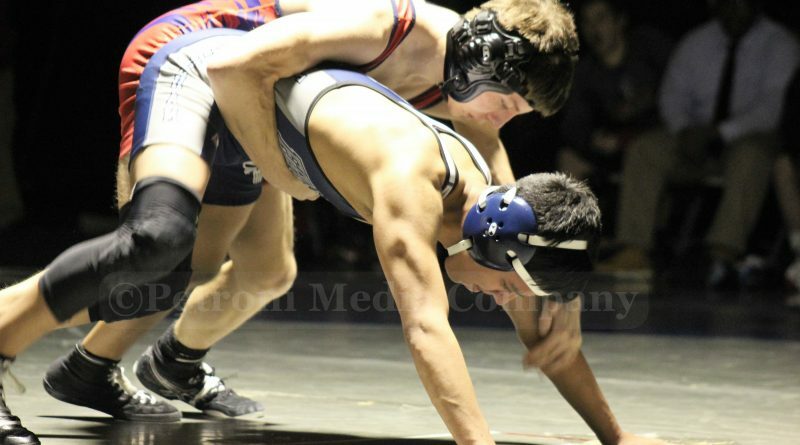 The Red Hawks won 46-22. 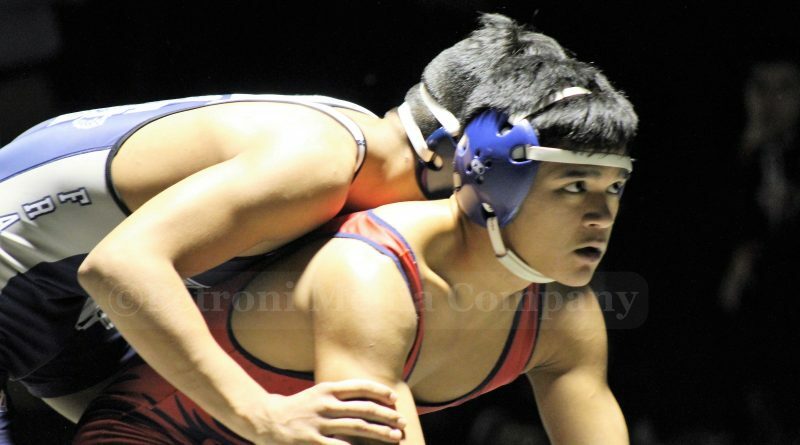 They are now 26-2. 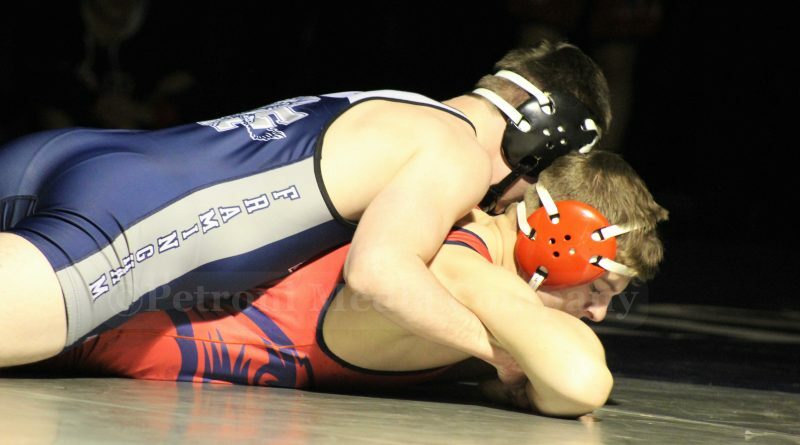 With the loss, the Flyers are 17-6. 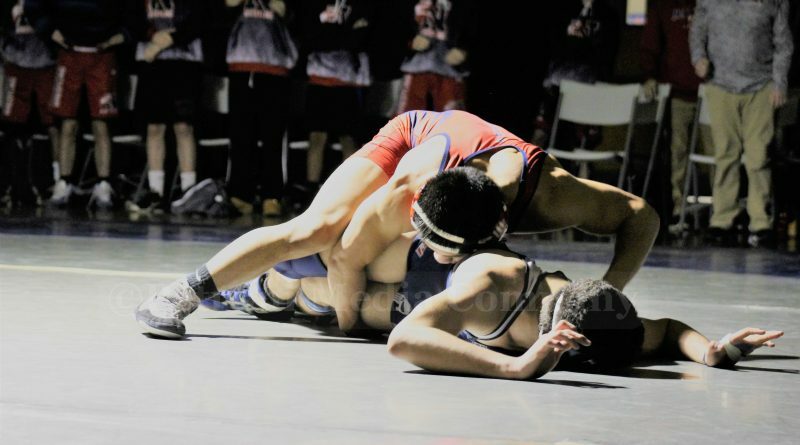 Sophomore Jose Bullox started out the night with a win for the Flyers, defeating Anthony Graves of Natick at the 106 pound weight. 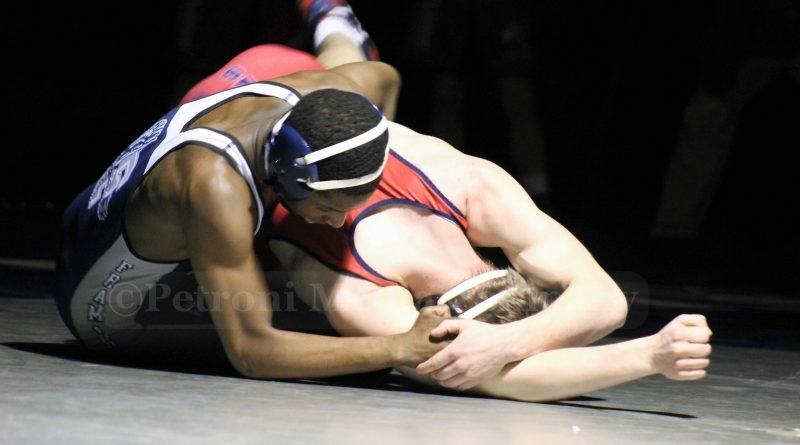 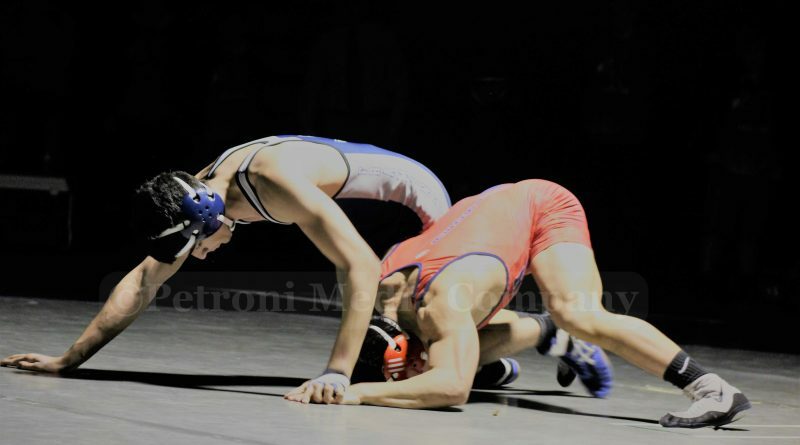 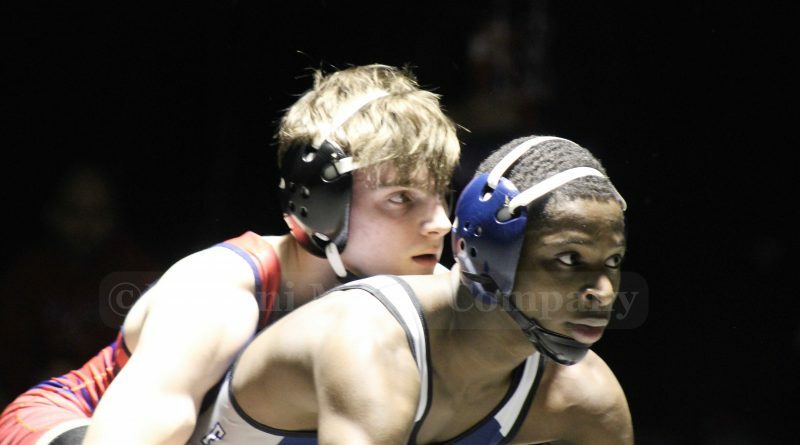 Senior captain Joe Tolson won his match against Jeff Marsh of Natick at 120 pounds. 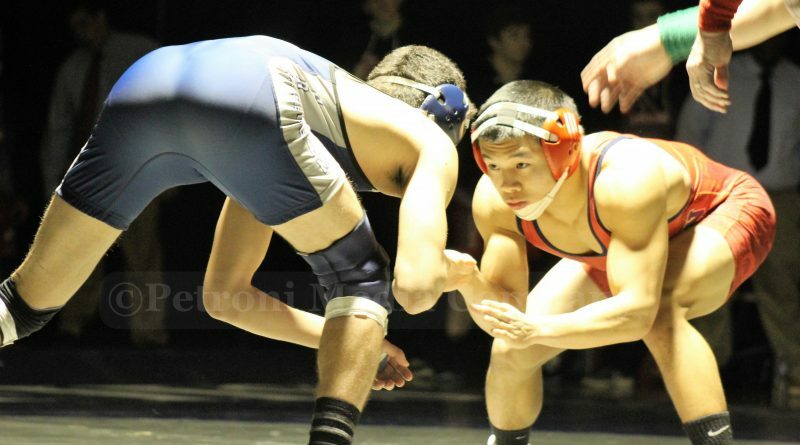 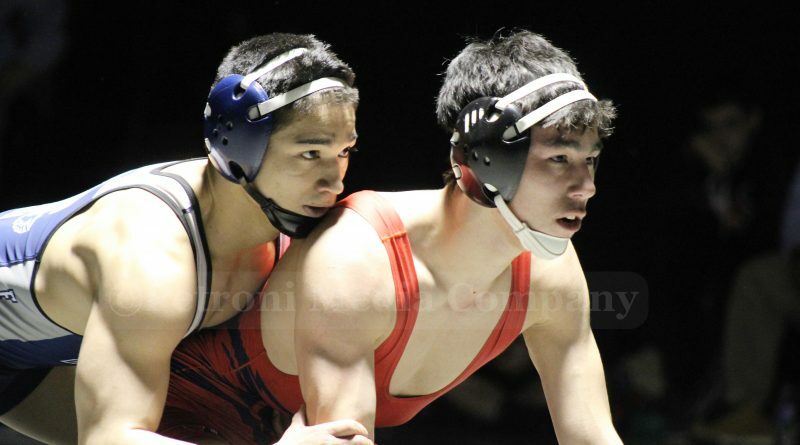 Flyers senior captain Pablo Ogata won his patch against Red Hawk Ben Steenkamp at 138 pounds. 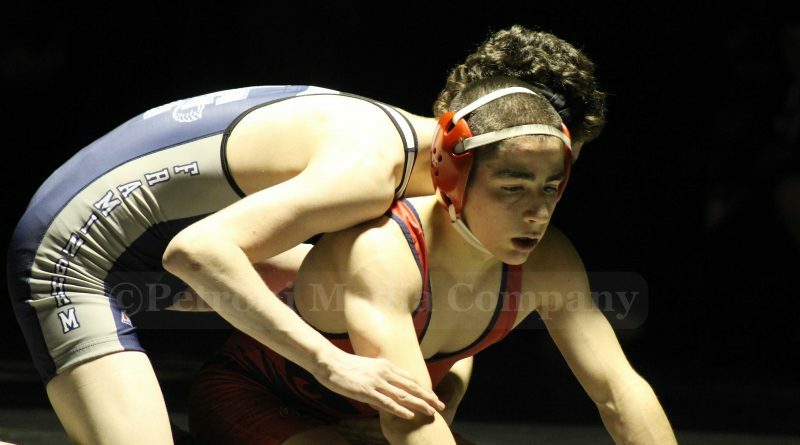 Junior Dylan O’Brian won his match at 170 pounds against natick’s Tim Ramstrom, but the Flyers then lost the last four matches and the meet. 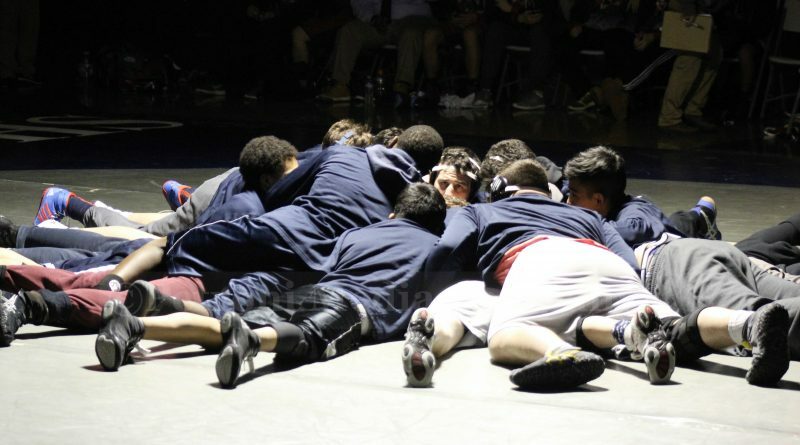 Before the start of the meet, the wrestling team honored Devin Suau, 6, with a photo. 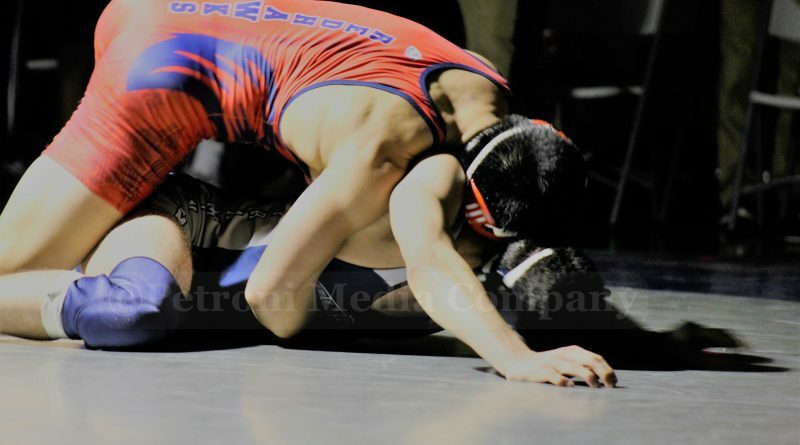 #WhyNotDevin. 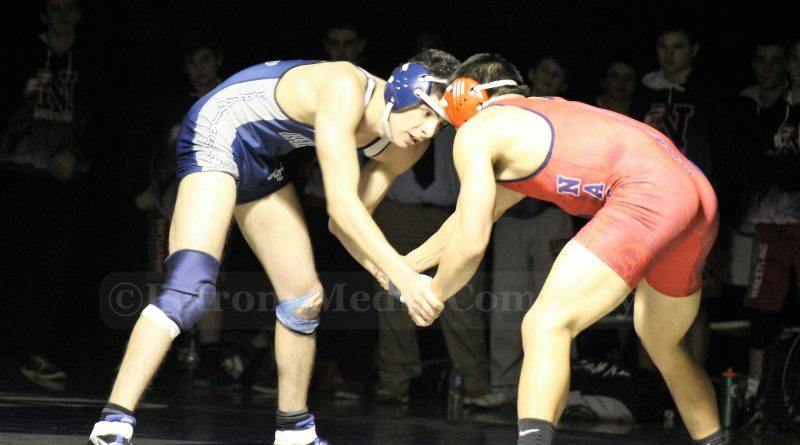 The team also noted that it was the final home meet for its seven seniors. 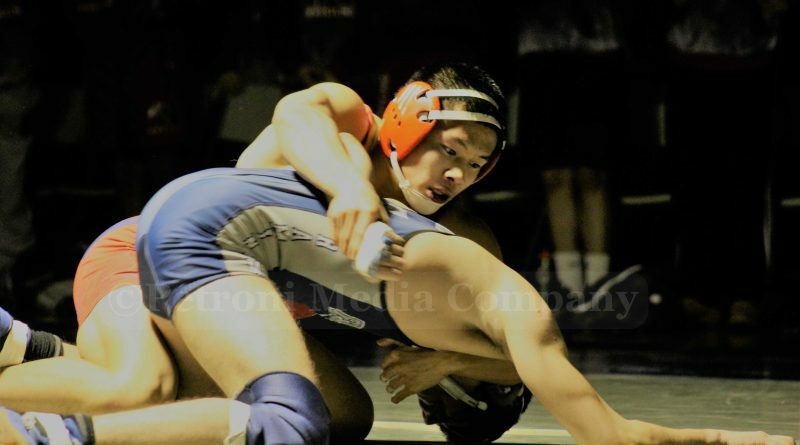 They include captain Ogata, captain Ikaro Monteiro, and captain Tolson, plus seniors Ben Shapiro, Jordan Shapiro, Kris Osornio, and Immanuel Mohan.